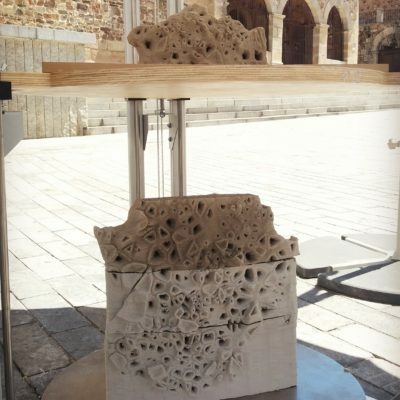 JetClay seeks to develop a dry clay extruder for ceramics and 3D printing, accelerating European innovation at the crossroads between digital fabrication and the ceramics sector, which accounts for EUR 27.8 billion in production value. 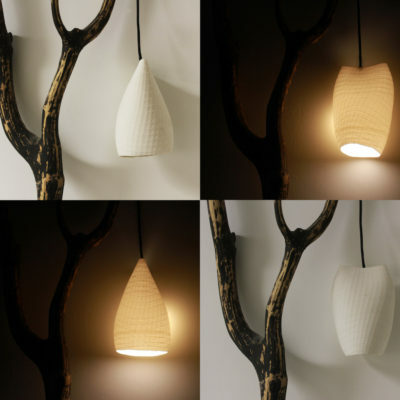 Ceramics is a natural material, completely recyclable and with relevant material properties in relation to thermal insulation, resistance to chemicals and high temperatures, low conductivity, to name just a few. 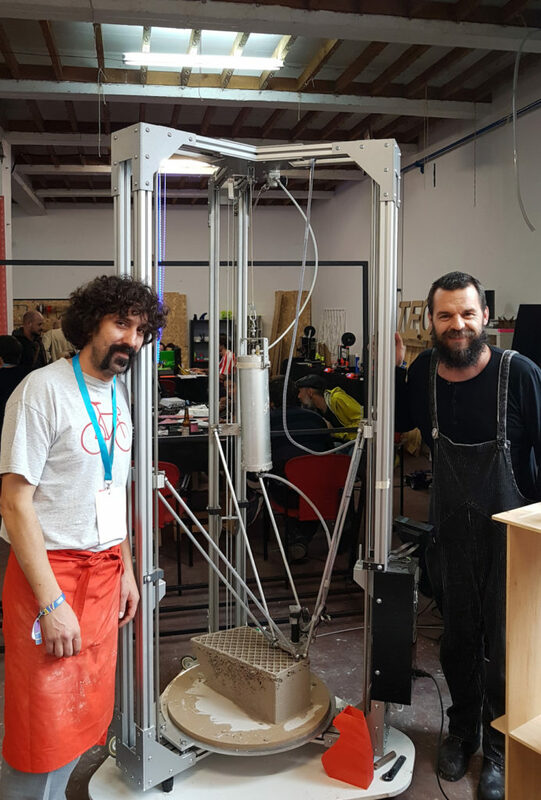 Espacio Open is a non-profit organisation that turned an old Cookie Factory (Fábrica Artiach) in Zorrotzaurre into a large scale Fab Lab / Maker space that mixes maker culture with social projects, traditional industries and contemporary culture. Mecanizados Igma’s work is very diverse, going from mass production to repair and modification of machinery. 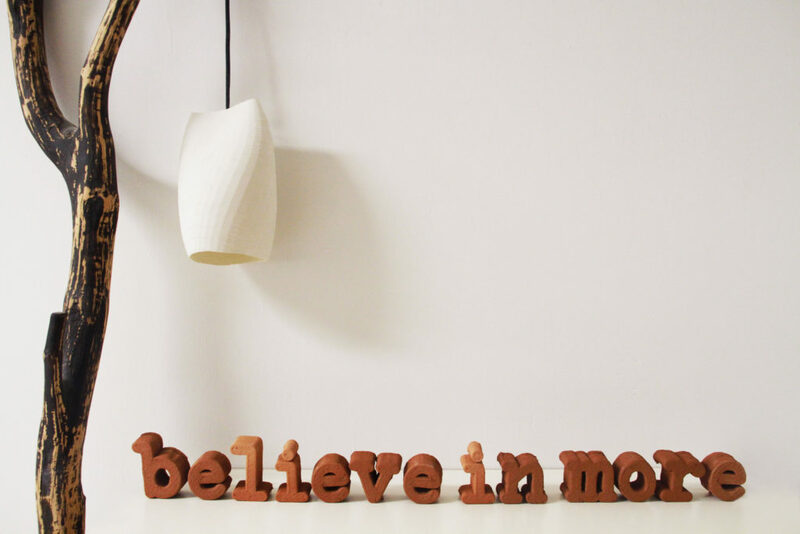 Recently they started their own product line which includes 3D Printers, laser engraving/cutting and CNC milling. An architect and expert in animation and postproduction in digital media, Javier works as a freelancer, combining his know-how in 3d-animation, design and construction of complex geometries to his diploma in Fab Academy. He is a founding partner of MakeSpaceMadrid and CIO estudio. 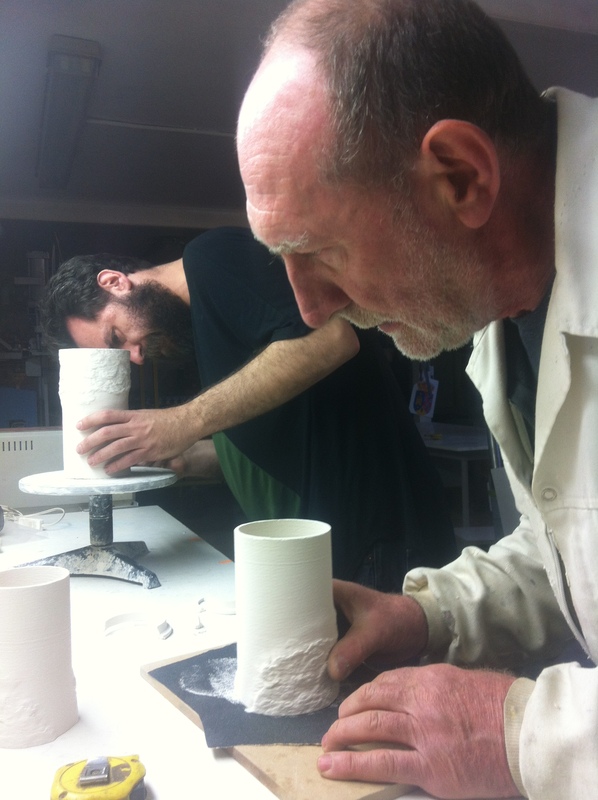 Alfonso Montiel has been working in the ceramics sector for forty years. The burden of running his own business never stopped him from researching and innovating, which made him one of the key references for his sector in North Eastern Spain. Ruben is an industrial Engineer, avid on cybernetics and digital fabrication, also a Fab Academy graduate, innovative university teacher and forward-looking researcher. How did you get involved with OpenMaker? Karim from Espacio Open, as a close witness of the team progress, told us about the OpenMaker project, and together we decided to apply to the Open Call. Espacio Open adds to the team its expertise in the maker culture and open strategies. How did the JetClay team get together? 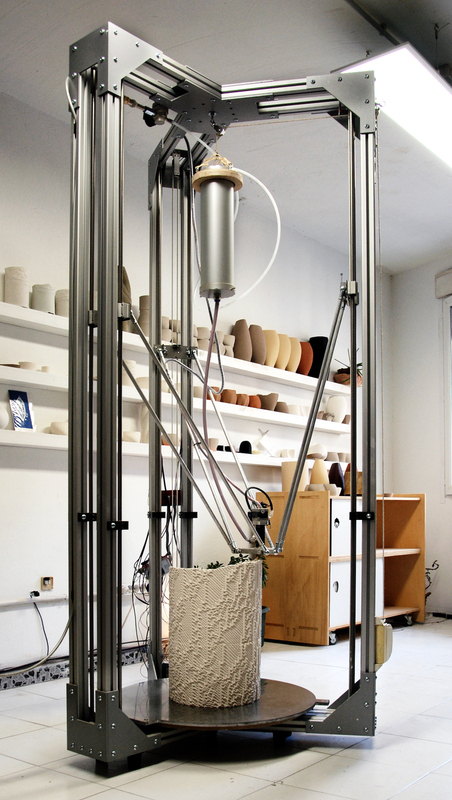 The collaboration was established in 2016 when together we decided to create the first large size Spanish 3D printer specifically designed for ceramics. The team behind the project includes engineers, ceramics material experts, designers and tool machining specialists, offering a unique perspective and allowing us to accumulate a strong knowledge base. Makers would gain access to large scale and expensive tools, for example 7 axis CNC milling machines, and could find long-term clients and partnerships. On the other hand, manufactures would have access to wider and cheaper supply chains and could count on the expertise of makers from different fields to include a broader set of options in their research and development processes. Manufacturers tend to see open source hardware and software options as less reliable and professional at first, but once they include them in their R+D processes and experience first-hand how fast prototyping can be thanks to these tools, there's no turning back! Finally, another challenge might be to find intellectual property agreements that can benefit both parties. 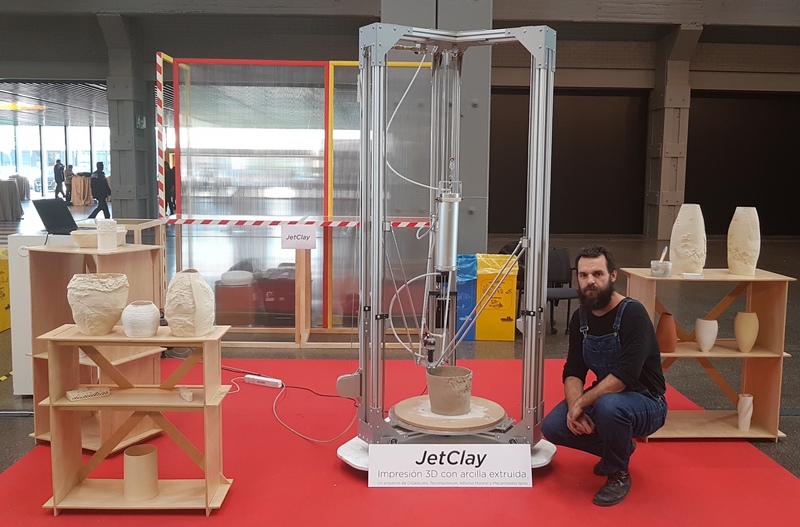 The key indicator of the success of the JetClay project would be its adoption by open source and maker communities, contributing to the creation of a new open source standard for ceramics and 3D printing in Europe. We seek to emulate the collective innovation effect created around the Rep Rap project, lowering access barriers to this emergent field. The team has already self-founded and the project’s first steps had concrete and fully working results. 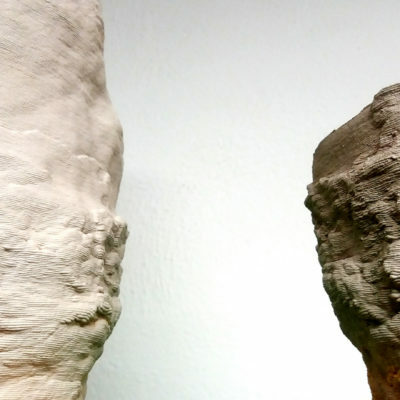 The OpenMaker support would allow for the partnership to increase its impact by starting to deliver meaningful contributions to the open source ecosystem, eventually driving the innovation of ceramics and 3D printing to the next level.